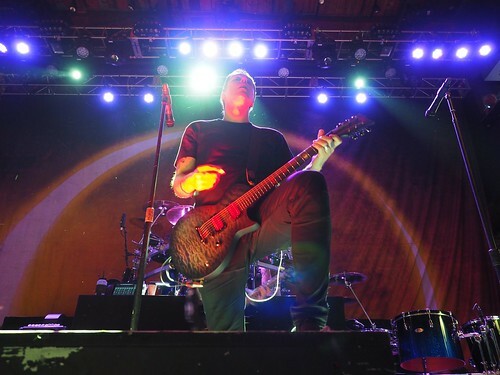 Late-90s rockers Breaking Benjamin packed a full house last week at Mercury Ballroom. We’ve been to our fair share of shows there (including sold-out ones), but this may have been one of the largest crowds. The band’s newest album Dawn Before Dark debuted in 2015, but they fluctuated between old favorites, as well, throughout the night. Frontman Benjamin Burnley has certainly done his job of garnering a loyal following over the last (almost) 20 years as this Louisville show proved. For more photos from the night, click here or on the photo below.